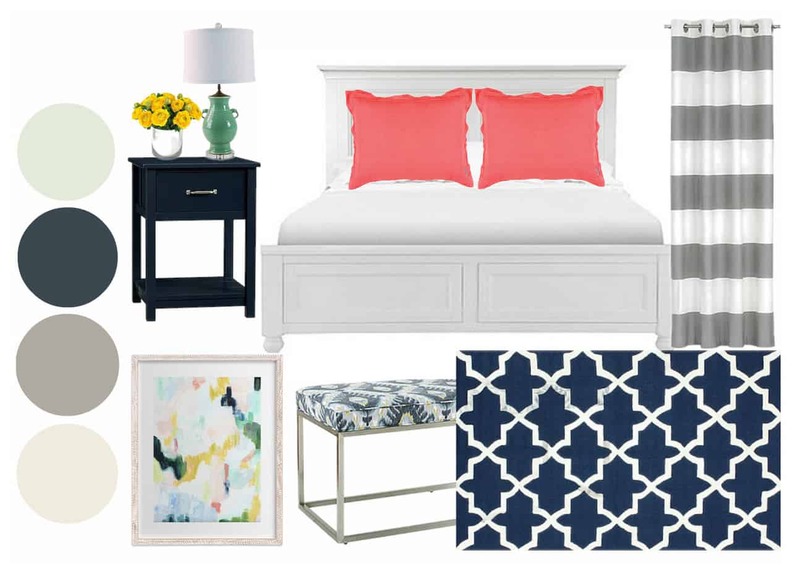 My master bedroom makeover is finally on the chopping block! I feel like I’ve been talking how bad it needs to get done for years now (6 years to be exact) and the time has finally come! I’ve been a busy beaver cutting, hammering, and painting so I thought I better shine some light on what is happening around here. Behold, our 90’s furniture nightmare. Lovely yellow pine, A LOT of pine. Structurally not bad, just haaaard to look at. And there is the beautiful dresser, more pine…even the hardware is pine. Organized little corner, eh? Let’s move onto the windows. The master bedroom gets the most light in our house, they used to be dressed with drapes I made, but when I got bedroom fever, and my sister needed a set I took them down to give to her… that was a year ago, hangs head. 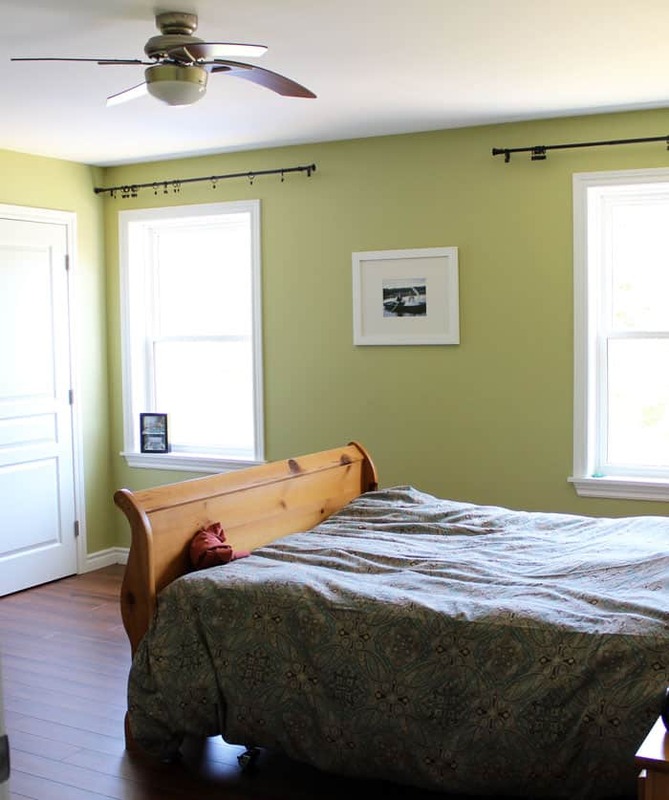 I like to position the bed between the two windows, but when we have a wood fire going the registers are directly below the windows, and the bedside tables are low to the ground so they don’t give good airflow. I know it’s July but we just stopped having fires a few weeks ago! 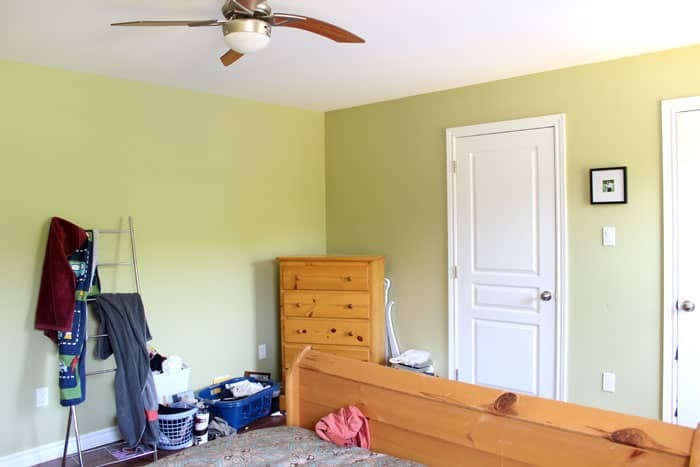 One thing that can’t change in the room is the ceiling fan. A must on Mr. Fynes list, eye sore or not, a battle I’m not willing to get into. 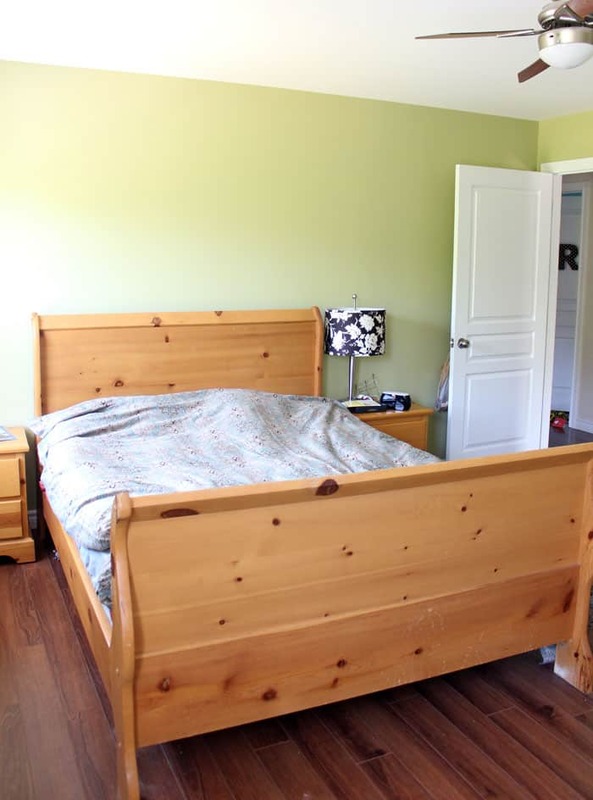 Farewell Pine Furniture- Introduce something white, fresh, and a tiny bit farmhouse. New bedding, drapes, lamps, and pillows. With all that said, I better get off the computer and get to work, I can’t wait to show you what I’ve been up to! Ohh, I love those colors! I can’t wait to see how it turns out! I love your inspiration! The artwork is stunning!